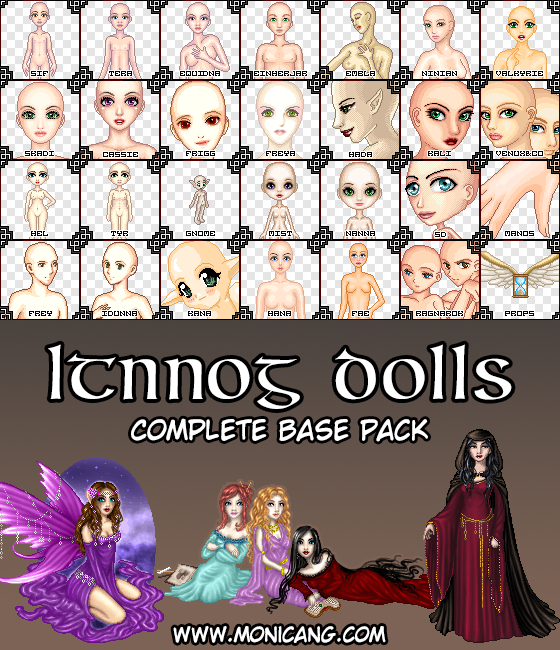 * Here you have a pack with my complete base collection, made from 2005 to 2011. * They are free for use, but take care of follow my RULES, they are so important in the dolling community! * I love see dolls made with my bases. Mention or PM me with them and I'll add them to my collection in DA. * If you have any questions, PM me.